Compelling …. London turns the portrait of an escape artist into a powerful indictment of the American prison system. The Mind of Mark DeFriest is a powerful and sometimes even darkly comic look at a situation gone disastrously awry. 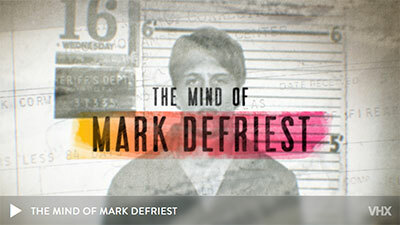 Like many of the best documentaries, ‘The Life and Mind of Mark DeFriest’ recounts a real-life story that’s stranger than fiction.